Bigg Boss Season 9 is live and kicking on our televisions with 14 strangers and 84 cameras. These 14 celebrities have taken up the challenge to survive for almost 3 months in this reality show which is known for controversies, unlimited fun and entertainment. 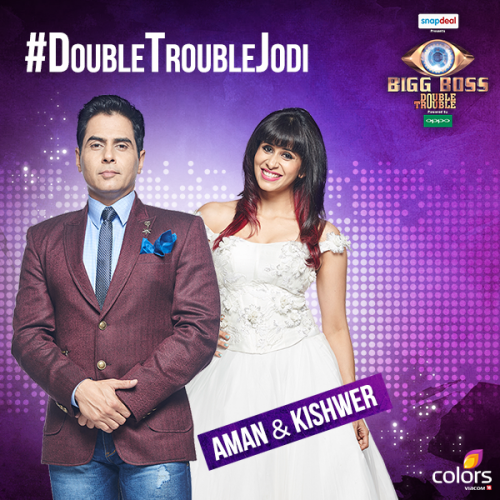 With ‘Double Trouble’ being the theme on ‘Bigg Boss Nau’, the contestants will be unable to hide from its two-fold elements. The contestants have to double up and face the difficulty, or stay disconnected and invite trouble. This theme of ‘Double Trouble’ guarantees to supply double the fun and recreation with numerous twists and surprises. There are double seater chairs, twin beds, twin garden seats, so there will be zero opportunities for the contestants to find solo peace and solace. Let’s take a look at the contestants who will be seen on the show hosted by Salman Khan for the sixth time. Keith, is a model- turned-VJ –turned actor and is most remembered for his ‘Shake it Daddy’ remix with Ayesha Takia. Sequeira was always interested in performing arts and had acting in his bucket list, which he ticked off with film Sixteen. This good looking chap is going to be one eye candy in the house. Mandana is an Iranian model, who was seen in a cameo in Ranbir Kapoor starrer, Roy. She will be seen in some exciting upcoming movies like Bhaag Johnny, Main Aur Charles and Kya Kool Hai Hum 3. But right now, she is in the Bigg Boss house and is definitely going to raise the temperature of the house. Ankit is a television actor who gained popularity very soon in his career, owing to his chocolate boy looks and superhit shows. A self confessed health freak, Ankit considers Soccer to be the first love of his life, followed by acting. The third spot is still vacant girls! Arvind sang the popular Ram Leela song, Bhai Bhai is making his entry and possibly first TV appearance via Big Boss 9. While we know very little about him, we hope his stint in the house makes him a name to remember. Rochelle Maria Rao is an Indian model and anchor. She was crowned Femina Miss Indian International in 2012 and has been a popular face on the cricket pitch for hosting and anchoring the IPL. 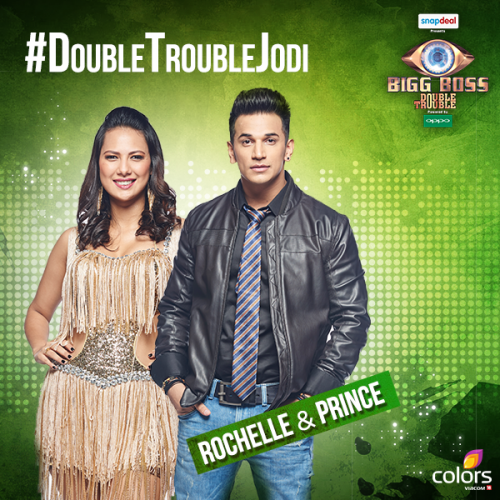 MTV Roadies winner and Splitsvilla contestant, Prince Narula is set to show his guts in the big boss house. Popular amongst college girls, Prince could pose to be a serious threat to the guys this season. Yuvika is a Bollywood actress and has worked in many films like Om Shanti Om, Toh Baat Pakki and the recently released Shaukeens. This gorgeous beauty is certainly going to turn quite a few heads in the Bigg house and we wonder who will be the lucky guy who will give his heart away. Boys, it’s time to pull your socks up! The handsome hunk with a husky voice, Vikas Bhalla is a popular Indian films and television actor, who is remembered for his song ‘Dhuan Dhuna’. Vikas was last seen in Colors popular show Uttaran. Mostly a calm person, let’s see which side of his personality will we get to see inside the Bigg Boss House. Well known Bollywood actress, Rimi Sen has movies like Dhoom , Hungama, Johnny Gaddar and Bhaghban to her credit. She was also seen romancing Salman Khan in the movie Kyunki. Let’s see if this dusky Bengali beauty will make some Hungama in the Bigg Boss house. Suyyash is definitely multi-faceted! Not only is he a good actor but also a great singer and photographer. Suyyash is a man of many talents. We hope to see his talents put to good use in the house and we get to see not only the actor but the entertainer in him. Don’t we? Kishwer Merchant has been a prominent face of Indian television for over a decade having played leading and supporting roles in some of the most popular TV serials. She will be seen taking a dive into the Bigg Boss house, and guess who is going to keep this beauty company there? 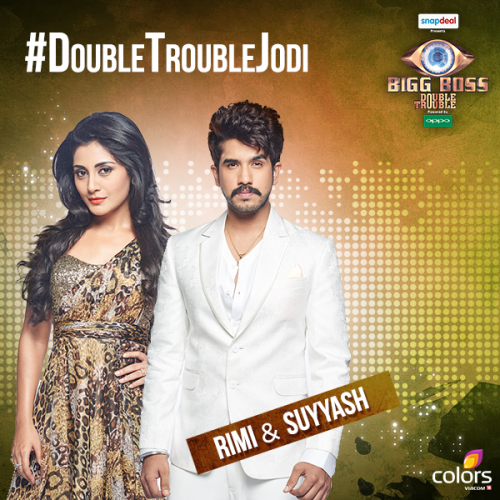 It’s going to be none other than her boyfriend Suyyash Rai. 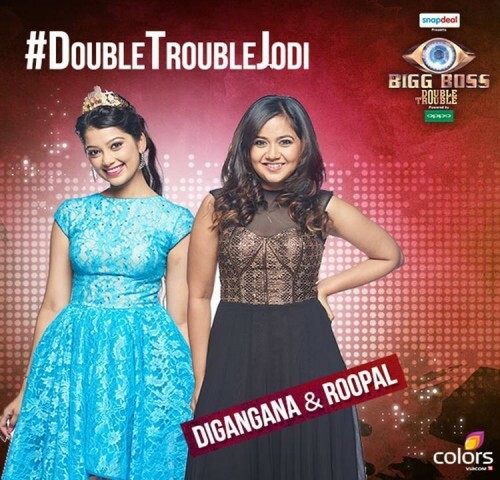 We can’t wait to see the two in the Bigg Boss house. This doe eyed starlet would possible be the youngest inmate of the Big Boss house. Digangana is a Hindi television actress, who has acted in a number of popular shows and has also written two novels. Woah! So much at such a young age! Let’s see is she is able to tackle the politics inside the Big Boss house? Roopal Tyagi was last seen as a wild card entrant on Jhalak Reloaded on Colors. Roopal who has played bubbly and chirpy characters on screen comes across the same in real life too. The Bigg Boss house which can be scary at times can bring out the worst in people. We wonder if all the controversy and drama is going to affect Roopal or is she going to stay unaffected by all? 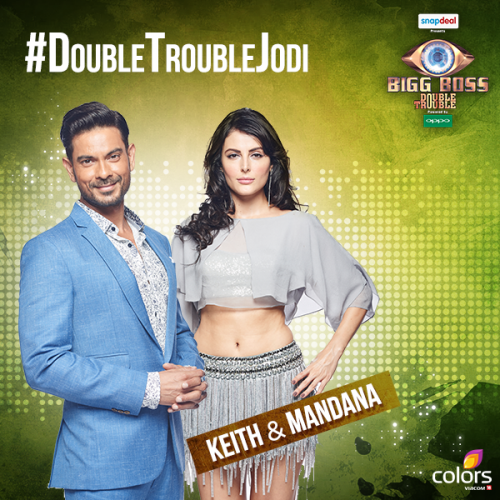 Who do you think will entertain the most from these Bigg Boss Nau #DoubleTroubleJodi?